We’re currently running a small experiment of a new ad format that helps users sign up more easily for email subscriptions or other free newsletters. 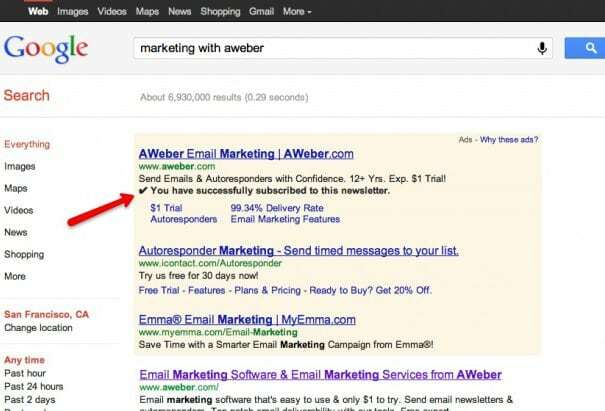 This new ad format contains a box within the ad that displays a user’s Google email address (if logged in). If a user chooses to click “˜Subscribe to newsletter’ then the email address is sent to the advertiser directly, which is clearly disclosed within the ad itself. See the ads in Action. Images credit TechCrunch. Thank you Google, what a great way to start The New Year! I am really excited to get those ads rolled out to my Adwords account. 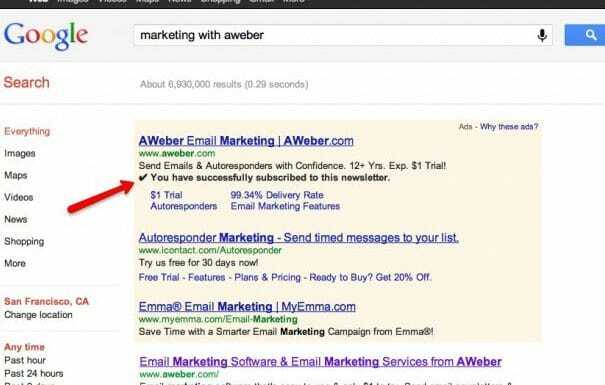 I think you should also start using AWeber now for your blog. This is a Very cool post and good observations. 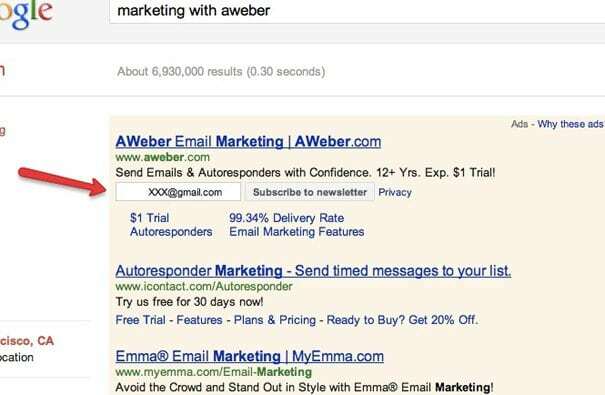 Aweber is a solid email service provider.